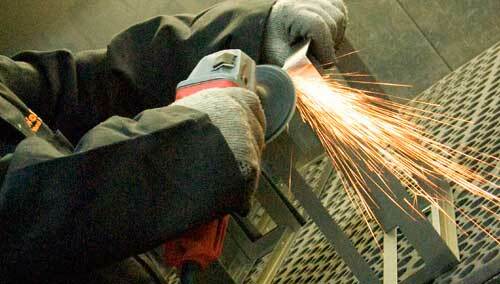 In addition to standard fabrication, the best sheet metal fabrication shops provide custom solutions. With precision sheet metal fabrication, you still benefit from an accurate finished product but also versatility as to what you can have done. Experts use this type of fabrication specifically to form parts and components from a metal workpiece. When done correctly, the results exceed expectations. Expert Engineering - The precision metal fabrication process is not just about a machine that cuts, bends, forms, joins, and so on, but also professional engineering. The best sheet metal fabrication shops have on-site engineers who lend their expertise in helping customers design the perfect finished product. Whether using your rough drawings or generating professional blueprints, an incredible design emerges. Finalize Drawings – Before starting the fabrication process, you would sit down with the engineer to finalize the design, making sure it matches your specifications. The engineer then analyzes the level of stress applied to various portions of the sheet metal, using exact calculations to determine the appropriate process. Workpiece Material – The quality of the sheet metal plays a significant role in the caliber of the finished product. For that reason, the best fabrication companies use only the highest grade material available. Fabrication Process – Based on design guidelines, the intricacy of the part or component, and your budget, the expert chooses the best process of metal fabrication. Using the calculations made by the engineer, the metal workpiece gets fed into the machine and subjected to the correct amount of pressure for cutting, forming, bending, and so on. Finishing – Once the product is complete, it gets finished with paint, a powdered coating, or a host of custom treatments to make it aesthetically pleasing. For precision metal fabrication, the expert relies on different processes and tools, based on the application the product serves. Regardless, a sheet of raw metal transforms into tangible items, such as screws, hooks, hand tools, kitchen cutlery, and more. When hiring a professional fabrication shop, you can expect a superior finished product. No matter how small or complex the finished part or component, Weldflow Metal Products has the experience and expertise required to get the job done right. You can learn about all of our services by visiting our website or scheduling time to meet with one of our engineers by giving us a call today. We would love the opportunity to serve you as a valued customer.